This version of Library Player is no longer available - click here for more information on the latest version of Library Player Playout. Supports MP3, WAV and WMA files. No need for an external database, simply tell the software where your tracks are stored and they are immediately available for use! Easy to use and quick to learn. 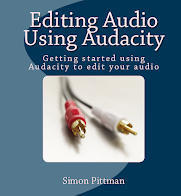 Quickly search for audio tracks. Mix and play multiple tracks at the same time. Supports PLS and M3U file formats used by other applications. Fader start using a sound cards joystick input. Version 4 now supports multiple outputs, the option to clear played items from your playlist and displaying ID3v1 track info for track names. A full list of changes can be found in the product documentation. Additional services are available for Library Player, including enhanced product support, bespoke versions (including the addition of additional outputs), on-site installation and training. E-mail simon@libraryplayer.co.uk to discuss your requirements. The full Commercial Edition includes 12 months product support and updates. A free trial is available to download.